Looking for a Ski Instructor? Want to arrange Private or Group Ski Lessons? You can now choose your Ski School or Instructor, and book online. With our partner CheckYeti, you can now select the best ski classes at the right Ski School for you, see when they're available and pre-book your lesson(s) online now! Ski Schools, Private Instructors and Guides in other Ski Areas within Ski Pass Mont Blanc. Ski Schools, Private Instructors and Guides in other popular Ski Areas near Argentière. 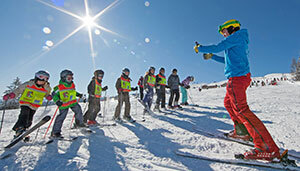 Ski Schools, Private Instructors and Guides in popular Ski Areas in France.